Police are appealing for information following a number of incidents in Warwick. The first incident (incident number 279 of November 11) happened at some time between 6pm and 9pm on Friday November 9. A black Carrera Vulcan mountain bike was stolen from behind The Old Fourpenny Shop Hotel in Crompton Street. The bicycle had been locked with a combination lock and was hidden under a tarpaulin and is described as having a black frame, 27 gears, disc brakes and chrome spoked wheels. A second theft (incident 272 of November 13) happened between the 6.30am and noon on Tuesday November 13 where a black Carrera Vengeance bicycle (frame number aj805331288h) was taken from the yard at I D Verdi on Stratford Road. The bike is described as having 34 gears, black saddle, front and rear lights, the front fork is noted to have deep scratches on it. A third incident (incident number 52 of November 14) happened during the night of November 13 going into November 14. 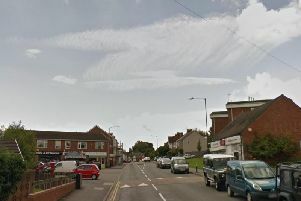 According to the Warwick Safer Neighbourhood Team a vehicle parked on Campriano Drive was entered without obvious signs of force and an phone charger cable taken. Police are appealing for anyone with any information about the incident to contact them by calling 101 and quoting the relevant incident number given above. Alternatively information can also be given anonymously to Crimestoppers by calling 0800 555 111.